TET (Ivan Attitude X Facepaint) Sev. 30" scapes, 6 3/4" flowers, 4 way branching with 25 buds.Large flowers One important thing I try to breed into all of my flowers is substance. Getting great substance into eyed and edged flowers has been a little more difficult than solid colored flowers. I am proud to say SMOOTH TALKER has great substance which also helps for it to stay beautiful throughout the day. 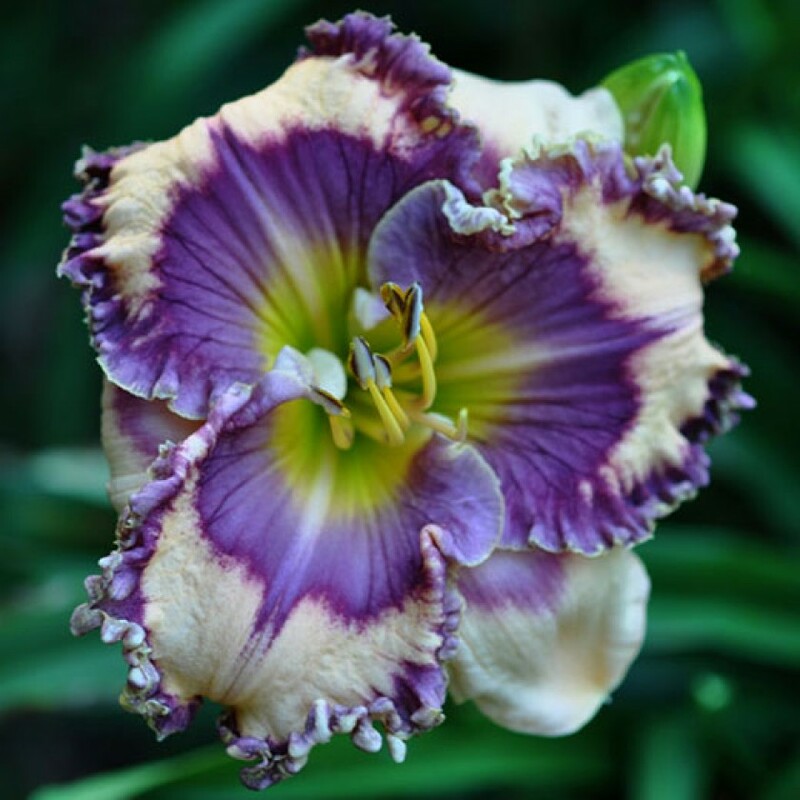 Broad petals help show its large eye of bright plum violet colors that starburst out onto its light cream background. A garden favorite. Great plant habit as well. Nicely fertile both ways.